Here’s an excellent example of what can happen when old media meets new media. The New York Times, one of the world’s most prestigious news organisations, has agreed a partnership with Flipboard which will see the entire newspaper become aggregated on the popular social magazine app, according to All Things D.
This is a big win for Flipboard, which recently boosted its reach when it fully launched an Android app to accompany its iPhone and iPad apps, as it will make the app a prime location for enjoying content from the news organisation, using its interactive user interface. ‘Premium’ content from the NYT will be locked on Flipboard, however, and only open to those that have a subscription with the organisation. Revenue raised by the collaboration will be split with Flipboard, but no further details of the exact shares has been revealed. It’s the first time the paper has brought its pay meter to another company’s platform. The Times said the effort is part of a strategy it called “NYT Everywhere,” a riff on the TV industry’s bid to let people watch TV on all kinds of devices — “TV Everywhere” — as long as they also pay for a cable or satellite subscription. Times subscribers will have full access to all content including full articles, videos, photo slideshows and blogs. By tapping on The New York Times logo, readers will be able to browse stories from various New York Times sections, everything from Politics to Business to Style. As with other New York Times news applications, the Top News section of the app is free to all. Flipboard CEO and co-founder Mike McCue tweeted that he is “proud” of the partnership, and it certainly is a significant milestone that shows just how far the service has come. In two years, it has grown from a well liked but ultimately niche application, into one of the world’s most influential news gathering platforms. Flipboard has also been well received outside of the US, and the service has launched local variations in China, Japan, France and other markets worldwide. Last week, Flipboard partnered with Google+ in a move that will see the social networks streams added to the service. It has also moved beyond aggregating news stories and now includes support for audio, and a tie-in with Web video giant YouTube. 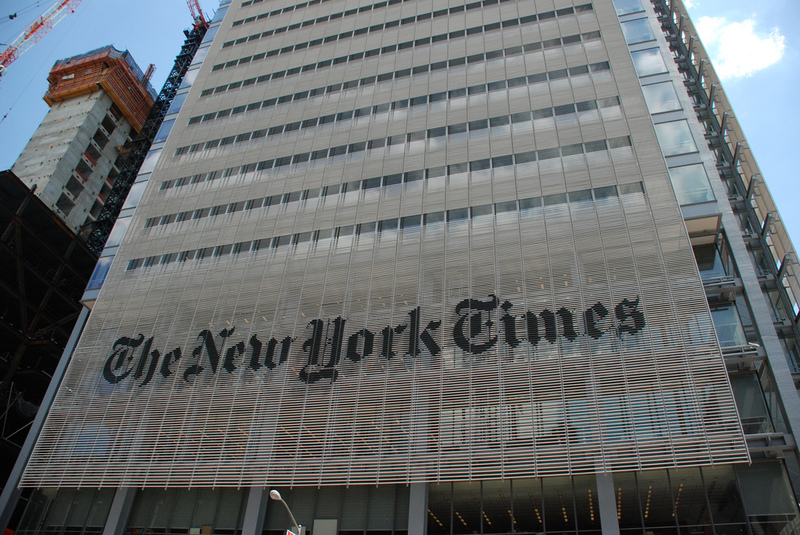 There is one question mark over the exact transfer of NYT digital subscriptions, as the price differs for content via the iPad ($5.00 per week) and iPhone ($3.75 per week). We’ve reached out to Flipboard to see if it can clarify the details, ahead of the launch on Thursday. Readers get access to Times content on Flipboard based on the subscription package they bought. Subscribers with access to the Web site and smartphone apps can view The Times on Flipboard’s smartphone apps. Those who subscribe to the Web site and tablet apps can read the content through Flipboard’s tablet apps. And readers who pay to have access to The Times on any digital platform can have access through Flipboard’s apps on any mobile device.